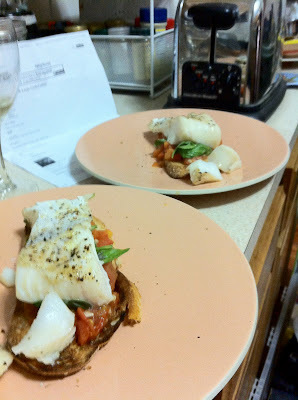 Did you ever look at bruschetta and think, "Gee, that could be three times larger with a cod fillet on it?" Me neither, but we'd both be stupid for not trying it. 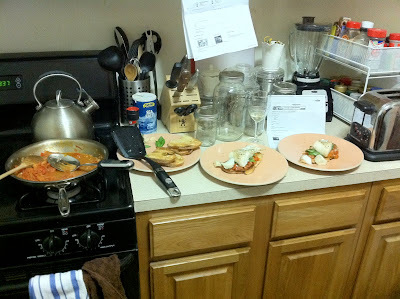 I don't remember where we got this recipe, but here's how it goes. Heat olive oil in a large skillet at medium. Add the garlic and onions. Cook until tender. Add diced tomatoes, salt, and pepper and cook until soft. Keep warm and let stand. Meanwhile, bake the cod fillets on a lightly-oiled cookie sheet for 15 minutes at 400 degrees. As the cod cooks up, toast the peasant bread. Rub whole garlic clove on each once toasted. When cod is finished, place an even heap of tomato mixture on either piece of bread. 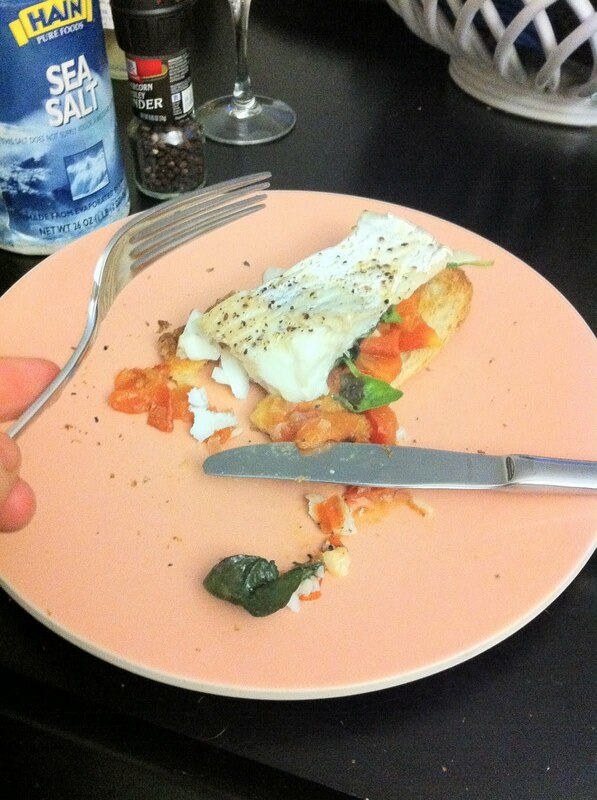 Then lay cod on top. Serve with a smile or get beaten by your guests. Your soundtrack for this entry: Dave Brubeck Quartet - Take Five.